I used Sassafrass Lass papers and stickers, some Hambly rubons and a Prima flower. That's it for today. Short and sweet! Thanks for stopping by! 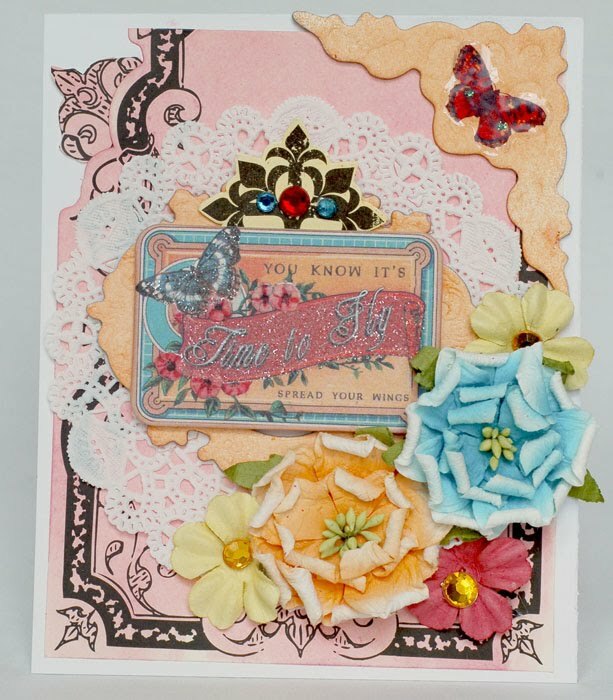 In the meantime, I get to play with the new Prima goodies. I can finally share a couple of things with you! 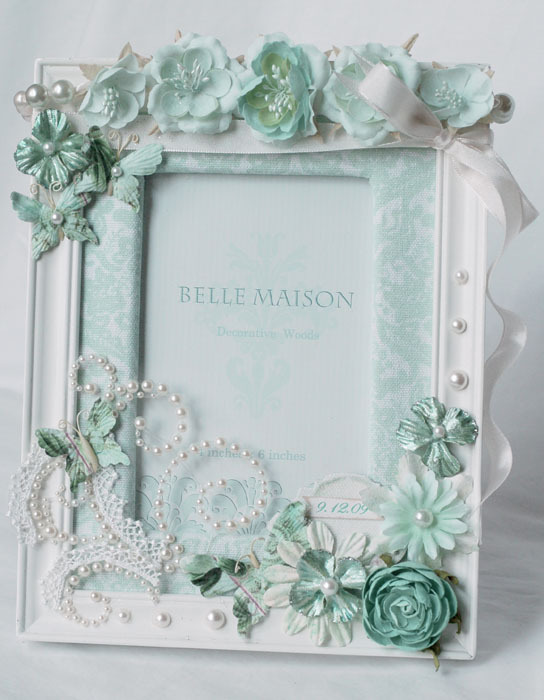 First up is this frame using lots of new flowers and crystals. 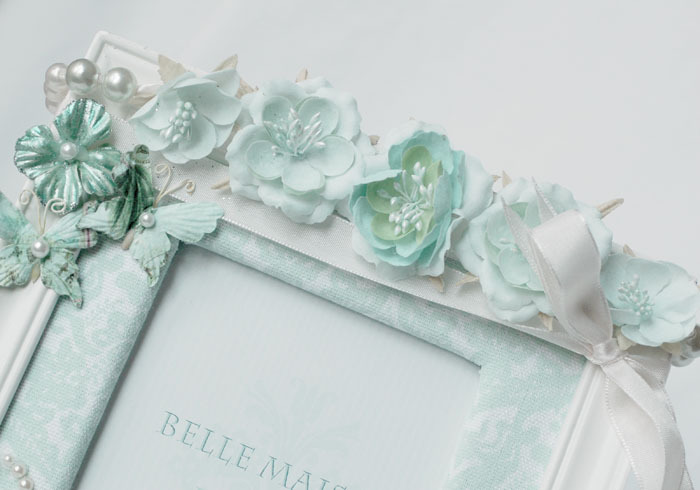 The flowers, pearls and ribbon at the top are actually one of the new necklaces they've put out. I wrapped it around the top of the frame. Next up is a layout using the new Paisley Road line. I love the bright colors on this line. 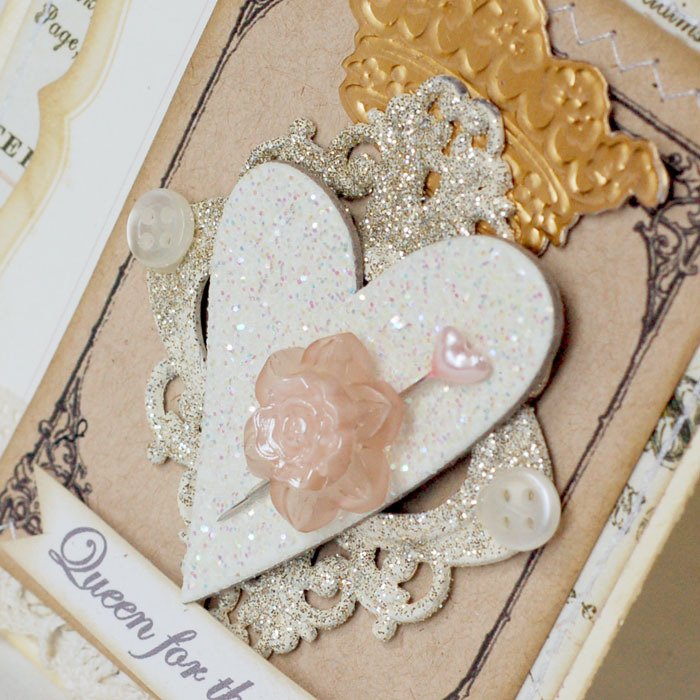 I used lots of rubons on it and the matching chipboard is gorgeous, too! So, that's it for today. Hope you have a good one! Thanks for stopping by! The build up to CHA is always such a fun time. And this summer, it's no different. I've been loving all of the sneaks everywhere online and wanted to be sure you saw the AWESOME new Webster's Pages lines from CHA. They are gorgeous. 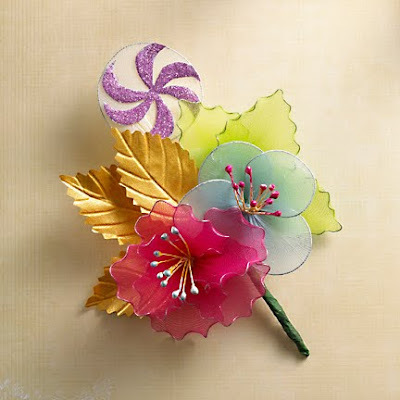 And one of the new bouquet embellishments. 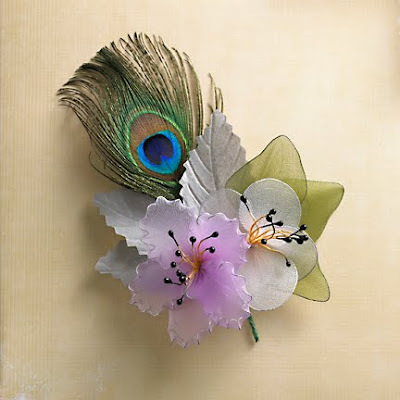 Isn't that peacock feather awesome??? 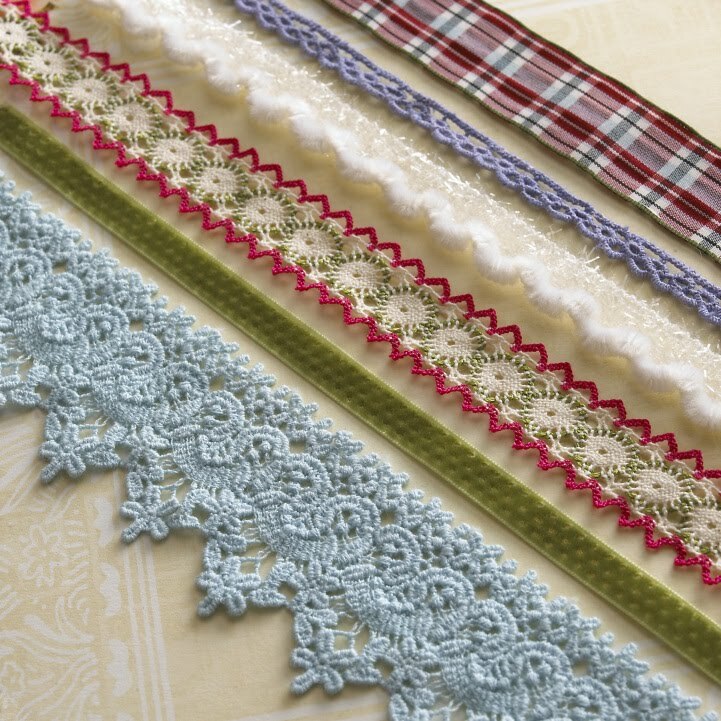 And these cute trims to go with it. Webster's always has such great trims. This is Waiting for Santa. 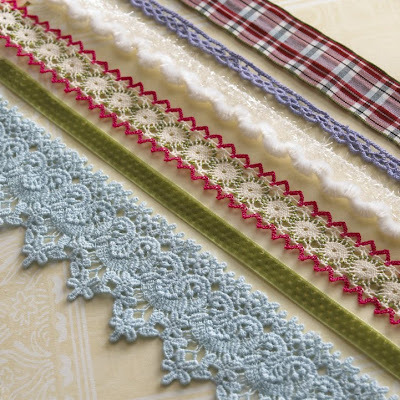 Love the trims that go along with it!!! This netting is AWESOME!!! I can't wait to play with it! And I need bags and BAGS of these buttons. So, I've saved the best for last. This line is my absolute favorite. 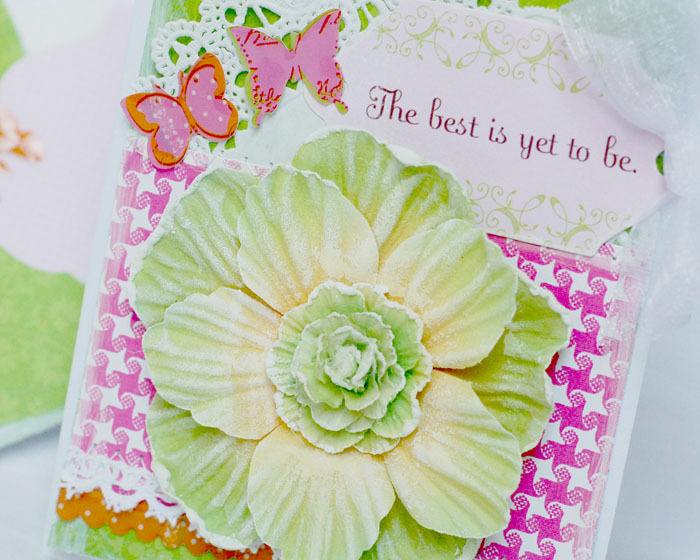 I just adore the colors and the adorable bouquet that goes along with it!!! Yeah, I can't wait to get my little hands on all of it!! Thanks for reading through all of this. I thought I'd share a WP card with you before I go. 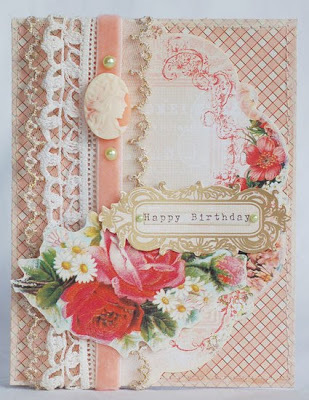 I used lots of Garden Gala papers on this one. The sentiment stamp is Papertrey. 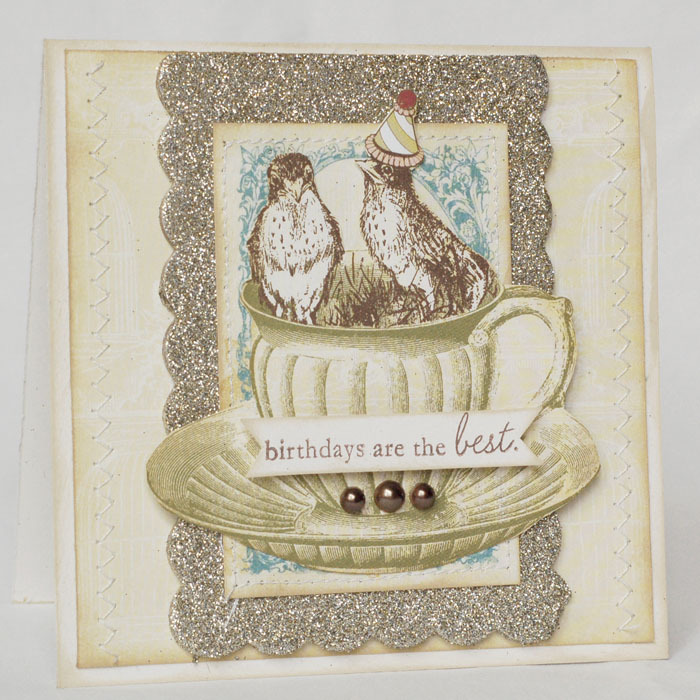 Are those little birdies cute, or what??? 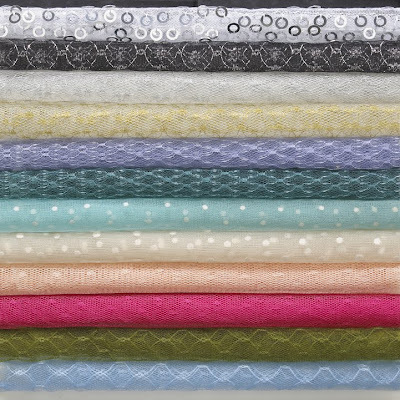 Color Combos Galore 152 just went live today! And WOW, I think this is my favorite combo so far. As you know, I love pink and green. But, I also love this cool skirt! Not so sure how it would actually look on me, but it's really pretty to stare at. Here is the layout I came up with. 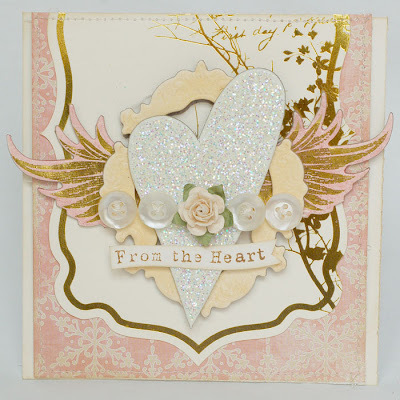 I started with a Narratives die cut paper as the base. 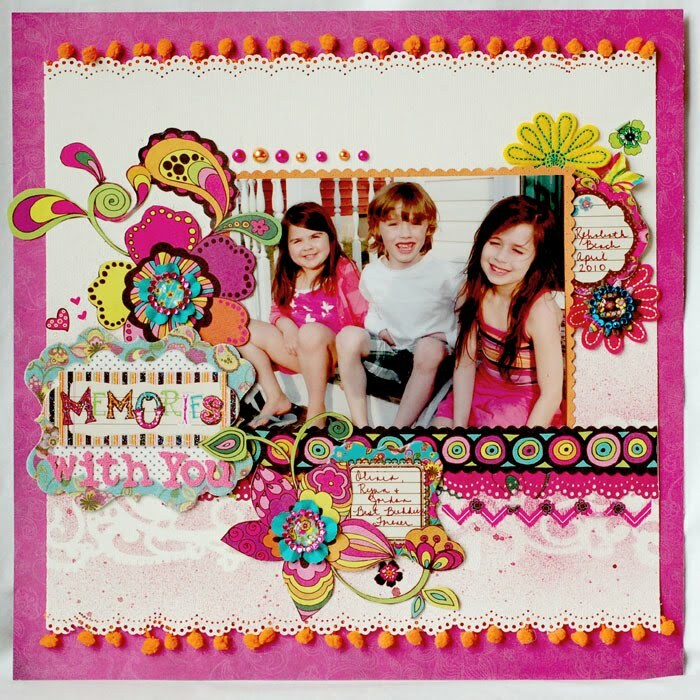 I used Pink Paislee, Cosmo Cricket, Melissa Frances and Doodlebug papers on here. The die cut in the corner is Websters and I cut a few swirly frames from a Hambly transparency. 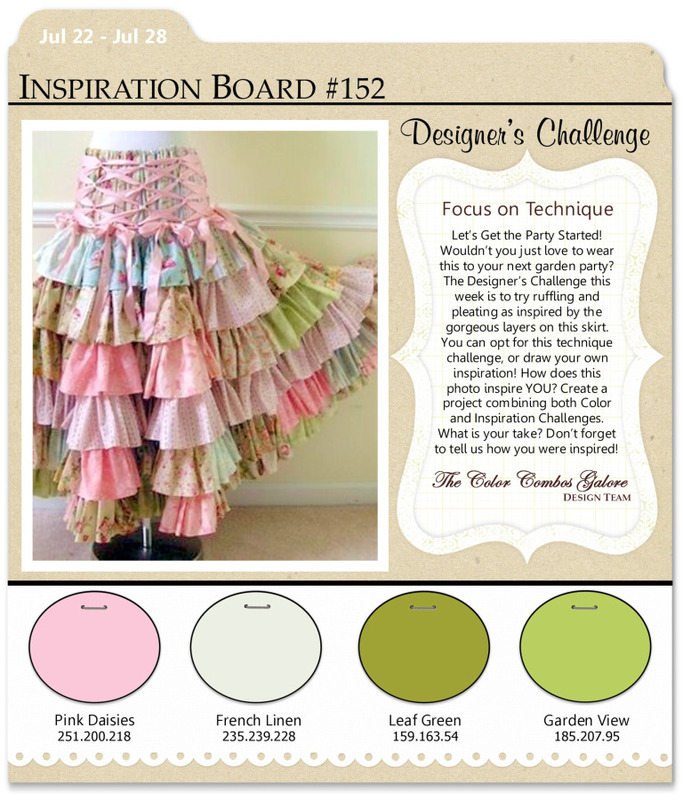 The ruffles in the skirt inspired the ruffled border ont he page. And the round 'swirly' aspect of the skirt inspired me to add in the large round doily. 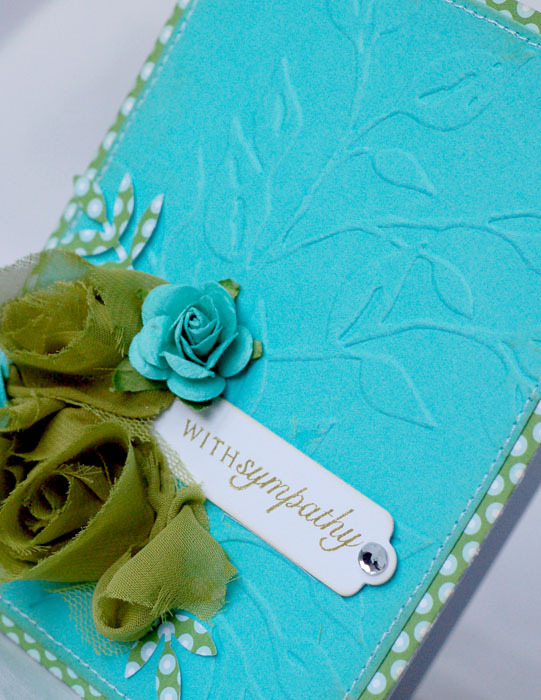 The journaling tells the story of how we got him. 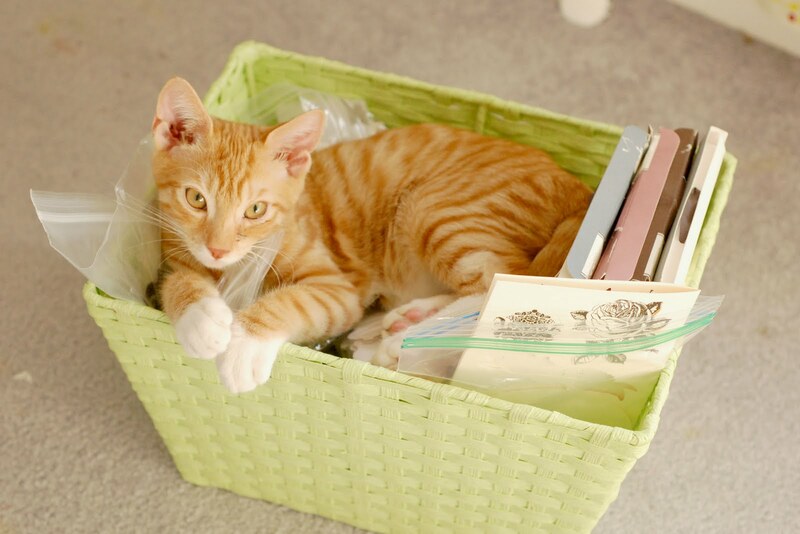 He really is such a sweet little kitty! So, I encourage you to head over to CCG and check out the challenge this week. 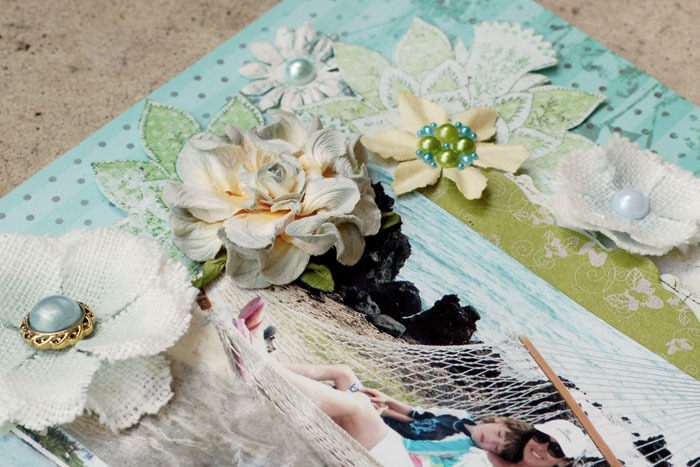 The other girls made some incredible projects that you won't want to miss! Thanks so much to everyone who stopped by for the PC Blog Hop. It was a lot of fun! 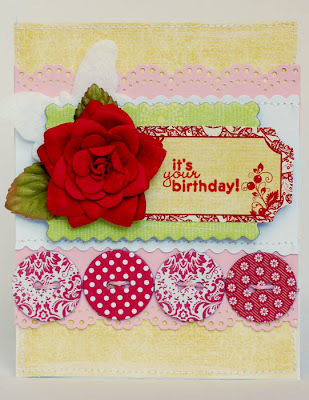 I loved hopping around and seeing all of the cards in all of the different styles. I also loved reading all of the comments. Thanks! 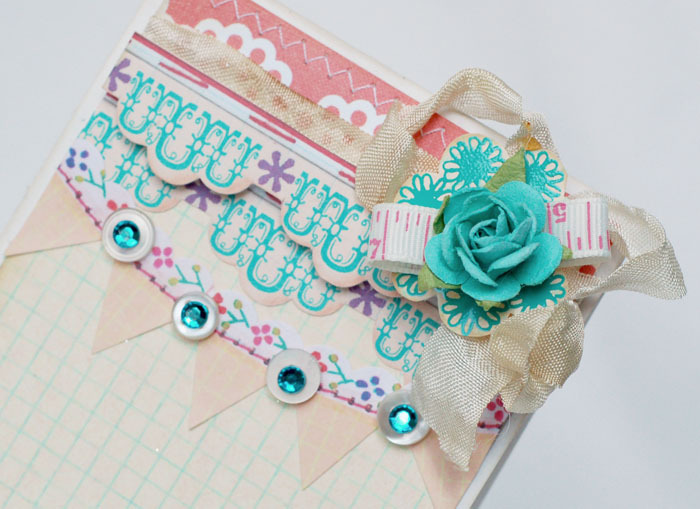 I'm so excited to share my first official page as a Prima DT member. I love the monthly BAP sketches and had a lot of fun making this one. The pictures are from our resort on the big island. Is that hammock the most perfect place to be or what??? 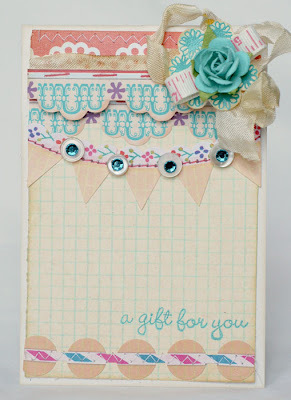 Check out the Prima Blog for the sketch and to see some amaaaaaaaazing pages from the other girls. 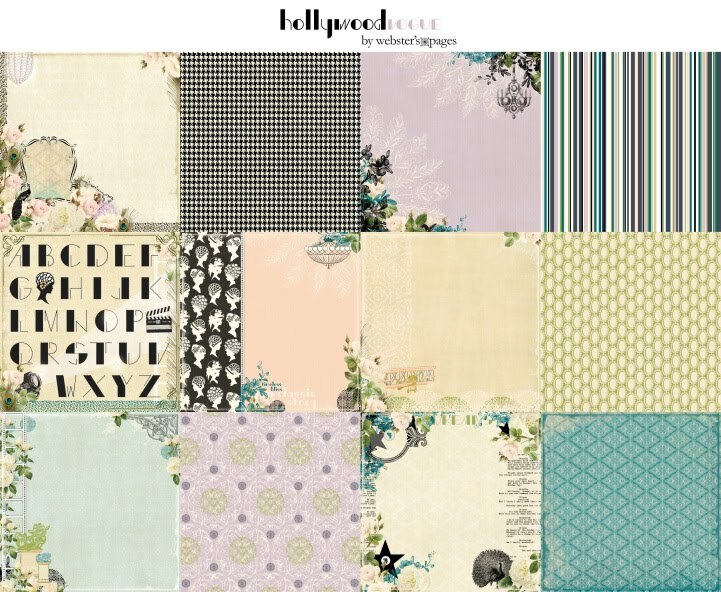 Seriously, I'm still pinching myself that I get to design with them!!! 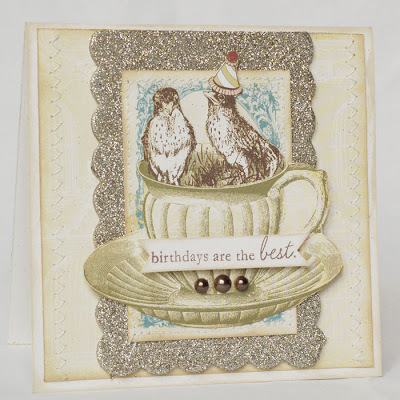 And here's the card that was featured on Moxie Fab World last week. I used my milk glass collection as an inspiration. I thought this would be a fun wedding, engagement, pregnancy or communion card. 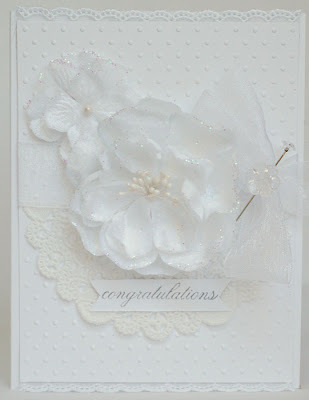 The flowers are Prima and I used my favorite Cuttlebu embossing folder on the background. Finally, I need some feedback. I'm thinking of selling my cards on Etsy. If you are a card buyer, how much are you willing to spend? What kinds of cards do you like best? What do you think makes a good Etsy shop? Thanks for stopping by and have a great day~!!! I'm so excited to be a part of the Card Style Mystery Blog Hop! I love all things soft, worn, pastel-y ( I know, not a word), glittery, flowery and vintage. 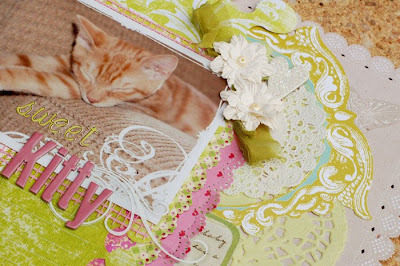 This is why I love the shabby style so much. And I love that it's such a hot trend in papercrafting right now. 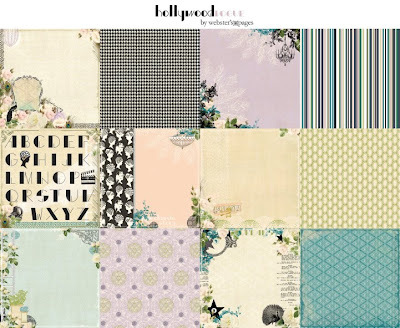 So, the purpose of today's blog hop is twofold. You get more inspiration and you get the chance to win an awesome prize package. 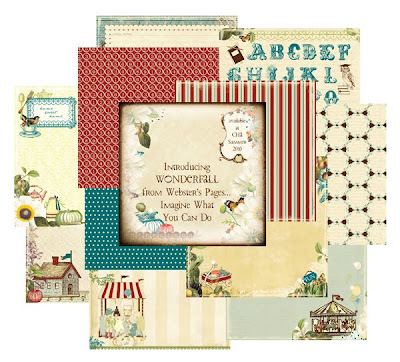 Kraft and cream are my favorite shabby/vintage colors. I added some Prima paper, a MME tag, Melissa Frances heart, and Jenni Bowlin die cut paper. I painted the MM frame and added glitter to it. 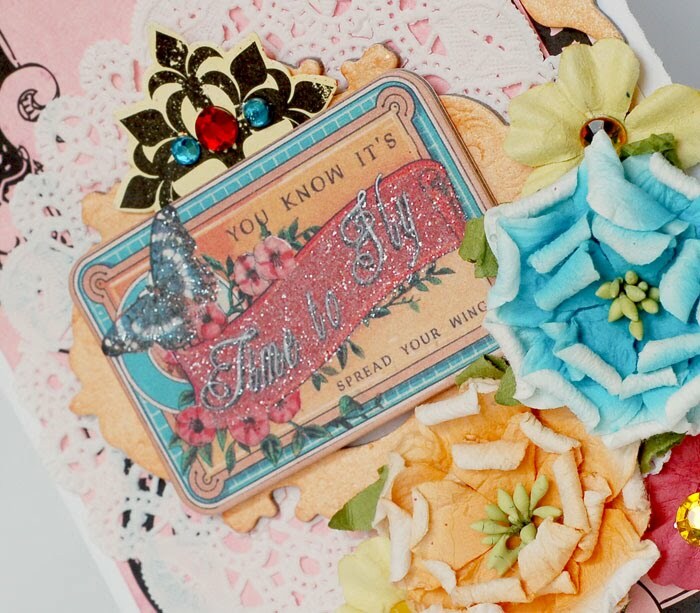 The pin, button and trim are all vintage. So, where can you get this awesome book? Right HERE. 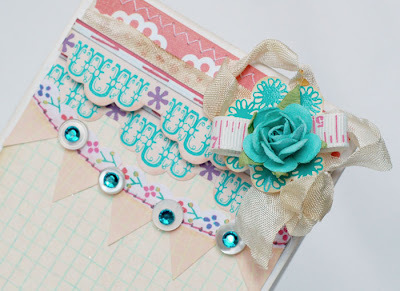 And you know there has to be a prize package included in this blog hop. 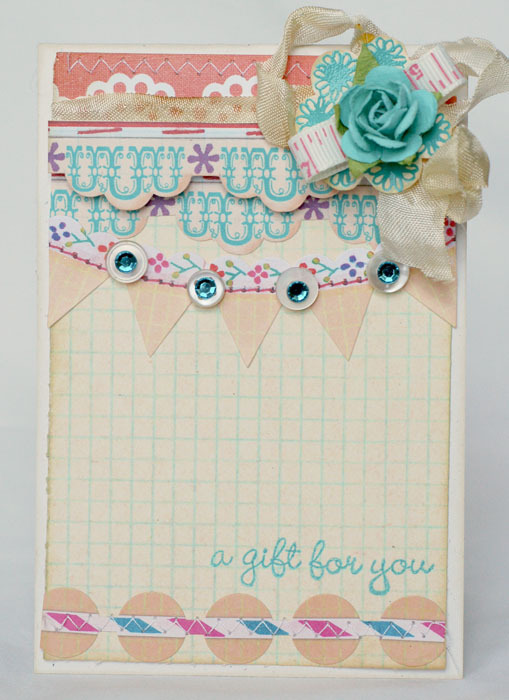 Be sure to check out the Moxie Fab World Blog as well as the Paper Crafts Blog to see a peek of what you are trying to win! Now, it's time for you to leave me. But don't be sad, because I'm sending you to one of my most favorite scrappy friends. 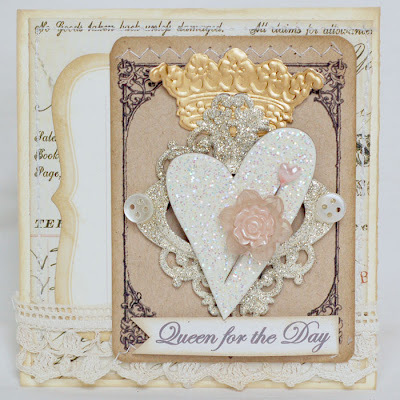 I'm sure you'll love her card and her post will leave you smiling! Thanks for stopping by! 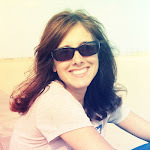 Now head on over to THE NEXT MYSTERY BLOGGER! 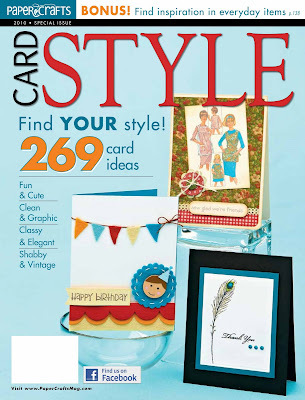 I just got my copy of Paper Crafts' newest issue, Card Style today. LOVE it! This is my favorite card from the issue. 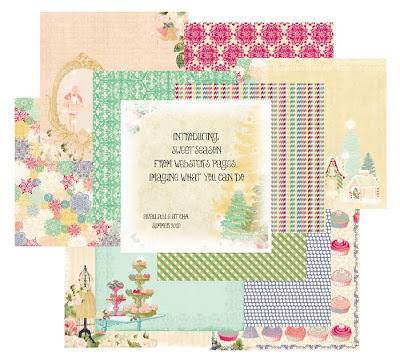 I used Webster's Lullabye Lane on it along with a Hambly rubon and some vintage goodies. There are lots of fun things going on over at the Paper Crafts and Moxie Fab World blogs, so check them out. Word has it if you stop back here on Friday, you might have a chance to win a free copy! 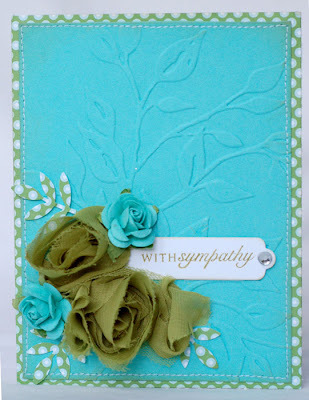 Here's another card that I recently finished. I did this one for Emma's color challenge. I used a bunch of different goodies on it. 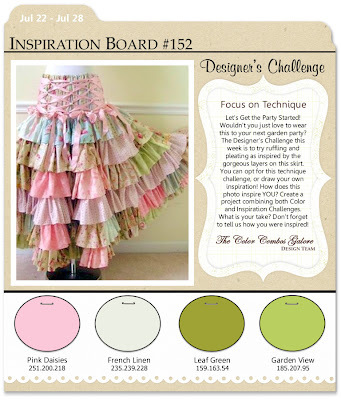 You can see the color challenge and my supply list HERE. Finally, I want to share that there's going to be a great Webisode with Heidi Swapp tomorrow night. Wendy Senger, CEO of Tattered Angels will be with her. They're going to be sharing some fun techniques. It will be at 10 pm EST. So, you can participate in the A Cherry On Top chat for Webster's Pages at 9 EST and then head over to www.ustream.tv/channel/heidi-swapp-live for a great class! That's about it. Thanks for stopping by! 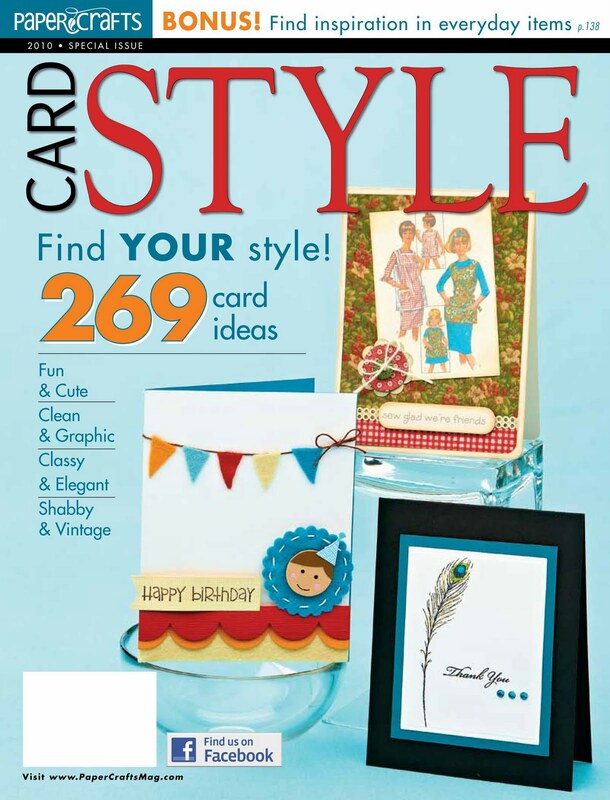 I did this page last week for Webster's Guest Designer lift. 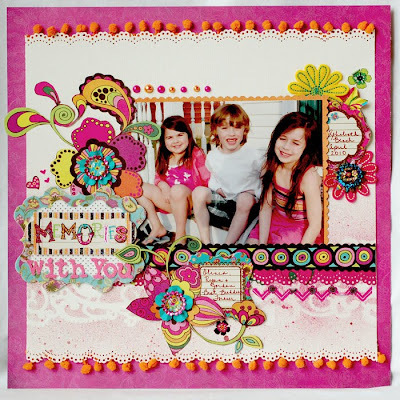 Emeline Seet is our guest this month and I had so much fun getting inspiration from her. 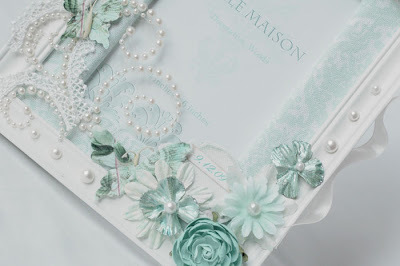 She is seriously one of my absolute favorite designers and I'm blown away everytime I visit her blog. 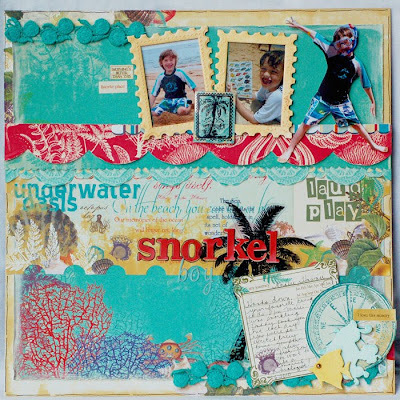 This page is about my little snorkeler! My little buddy LOVED snorkeling. He loved learning the names of the fish he saw. And he loved swimming out by the black rock with his daddy. The Seaside Retreat line was just perfect for my photos! 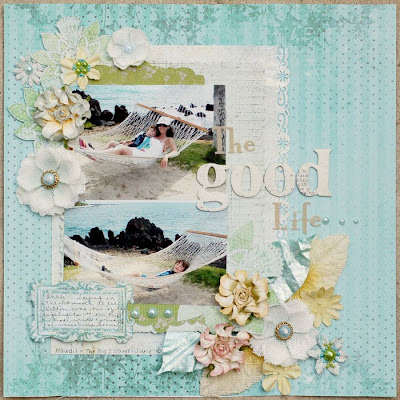 I added a few glimmer chips and some glimmer glass from Tattered Angels' seaside collection. 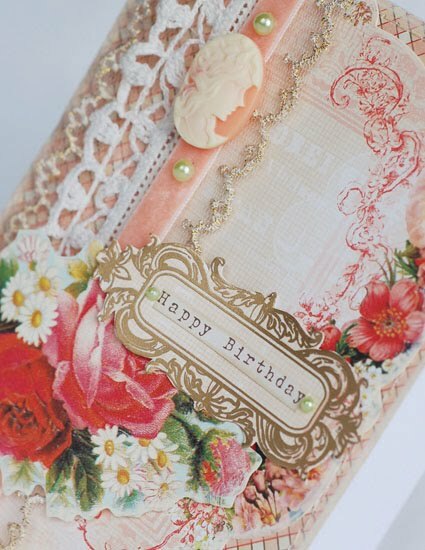 The postage stamp font frames were sprayed with Candlelight Glimmer Mist. I also wanted to remind you of our upcoming chat at A Cherry on Top. The WP team has come up with brand new projects to share that night. Stop over! Lots going on today! First, I wanted to share that I'm being featured on the Moxie Fab World blog. I was so excited when Cath emailed me and asked if I wanted to participate in her 'At Home With' feature. 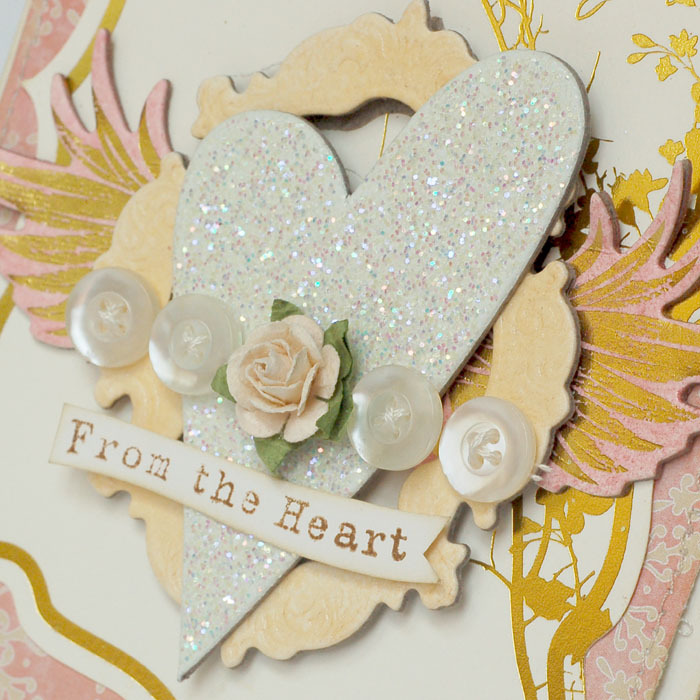 I'd love for you to stop over and see my inspiration piece as well as the card I created with it! CHA fever has begun. 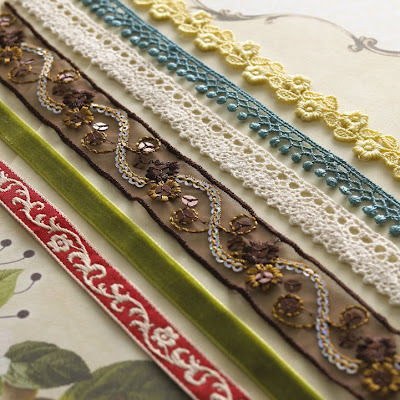 I wanted to share that Webster's Pages has begun their sneak peeks! Here is some info. right from the Inspire Me site. "July is one of the best months around. 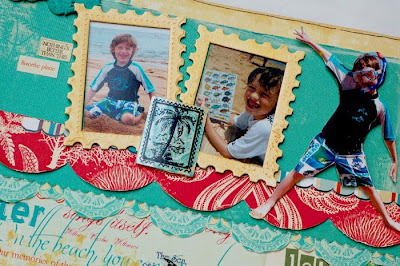 Summer is in full swing and here at inspireME, we are at our busiest. 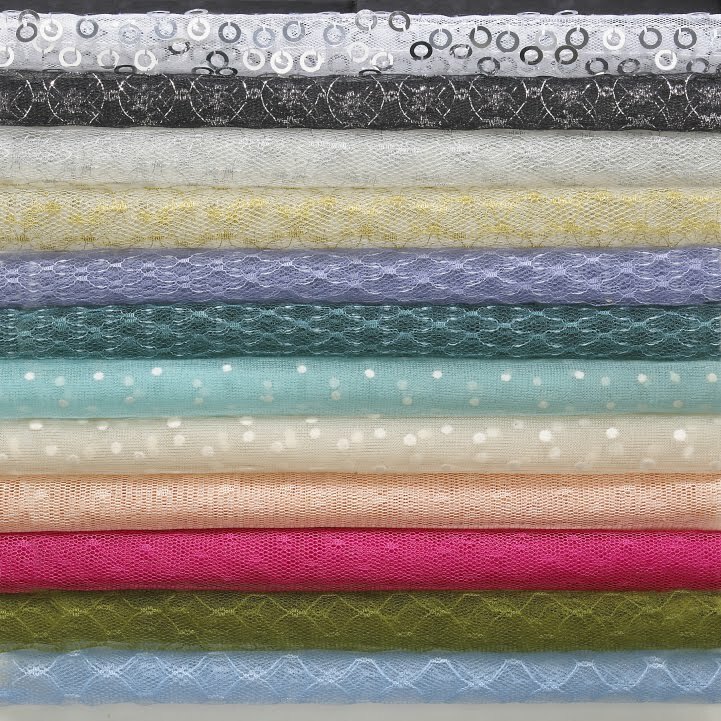 CHA (July 27-29) is just around the corner and once again, we have a ton of new and amazing products to release. You can see previews HERE - check back often as we will be adding much more over the next few weeks! And what would CHA time be without a fast-paced live chat as well? So keep your eyes peeled for more information coming shortly. We think this is a wonderful time to select 3 inspireME members to work with our CHA new releases as a Webster's Pages guest designer. For all the details, go HERE. 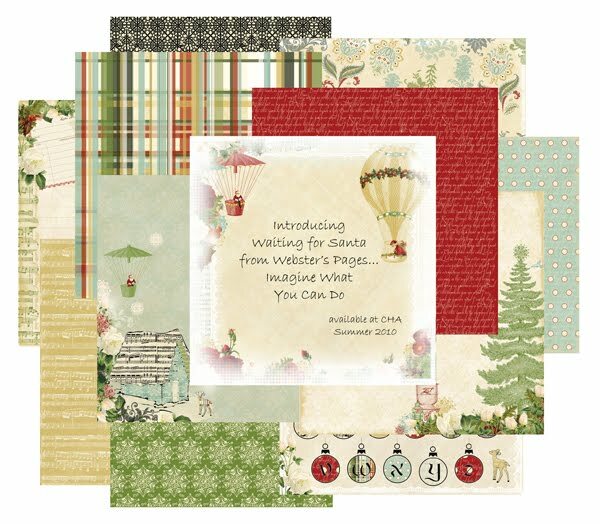 Also in July, the Webster's Pages Design Team will be featured guests at the online scrapbook store A Cherry on Top. 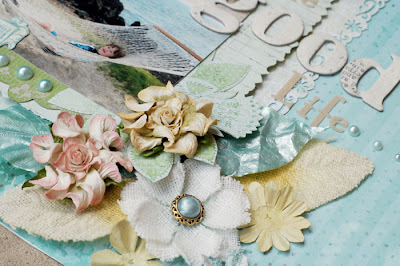 Join us on Wednesday, July 14 at 6pmPST/9pmEST as we chat and share loads of inspiring layouts. Shhh, word has it, that there might be a sneak peek to be seen floating about as well!" 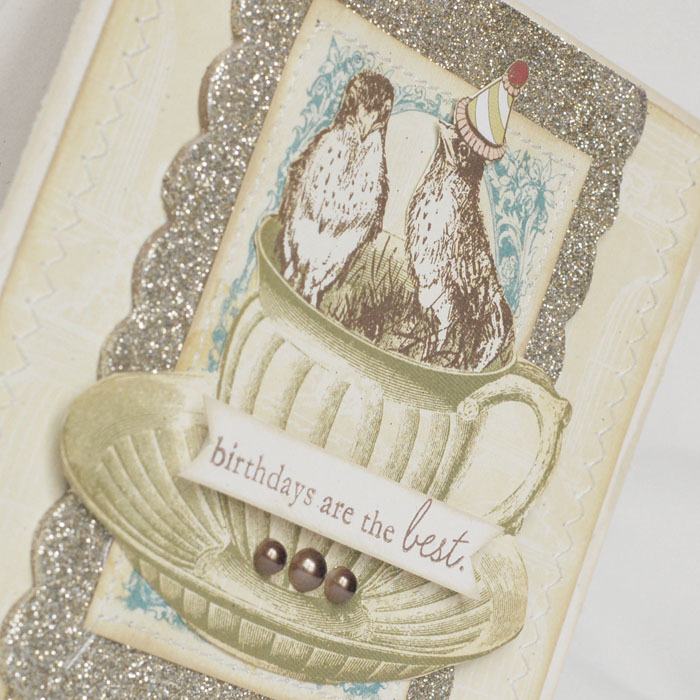 Finally, here's a couple of cards that I made for Tattered Angels this month. 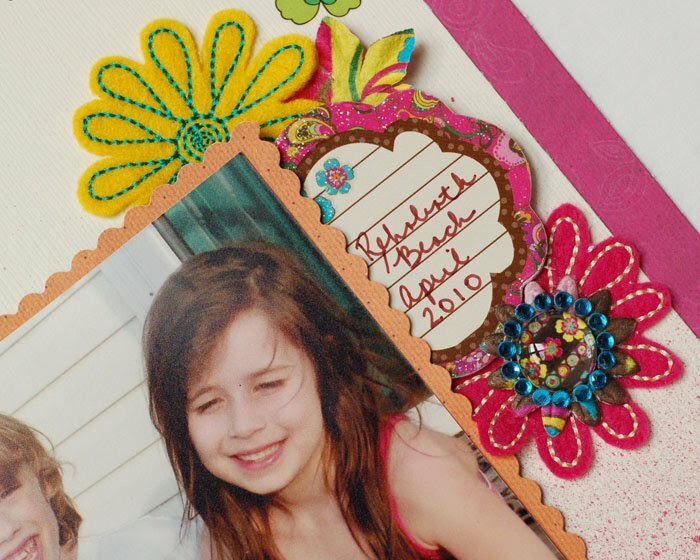 I wanted to feature the Tattered Tags and Custom Cutouts. 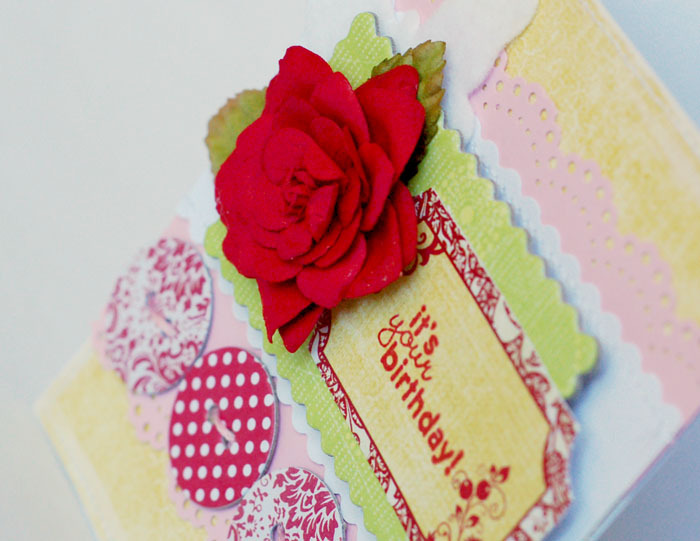 Details about both cards can be found on the TA Blog. That's it for now. Thanks so much for stopping by! 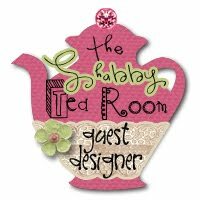 I was so excited when Debbie asked me to be the Guest Design Team member at The Shabby Tea Room again! 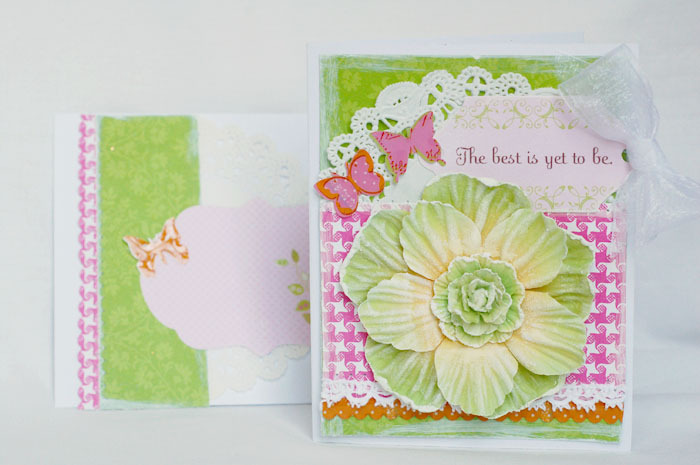 I love the challenges on this site and the cards that people create are sooo inspiring. If you haven't gotten the chance to play along, definitely head over there today. Plus, the prize this week is fabulous! This week's challenge was to use embossing of some kind. 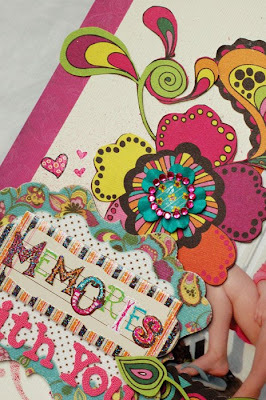 I love to emboss and decided to pull out this fun Cuttlebug Embossing Folder. 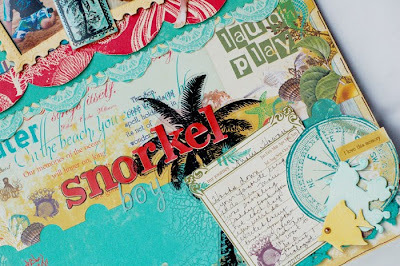 I used it on Paper Trey Ink's Hawaiian Shores cardstock and added some patterned paper from PTI for the background. 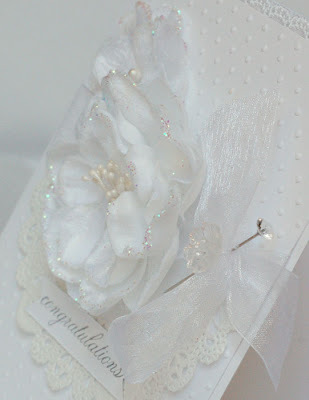 Then, I used a couple of Bloomers (can't stop using these! )and a couple of little Prima Camelot roses. I punched the leaves with a Martha Stewart punch. 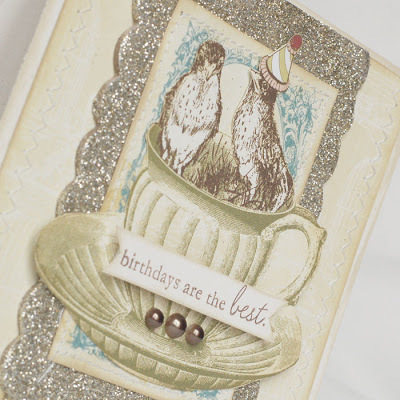 It was a quick and easy little card, but I think it packs a lot of punch! As I'm sitting here typing I'm finishing off one of the Whoopie Pies I got in Lancaster this weekend. OMG, they are so amazingly good. Just wanted to show you what they look like and post a little recipe for you. We are heading back up this week to do some shopping, so I'm going to pick up a couple more. So much for all the exercise I'm doing. LOL! A whoopie pie is like a sandwich, but made with two soft cookies with a fluffy white filling. Traditional whoopies pies are made with vegetable shortening, not butter. 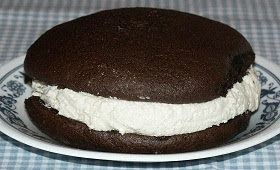 The original and most commonly made whoopie pie is chocolate. but cooks like to experiment, and today pumpkin whoopie pies are a favorite seasonal variation. The recipe for whoopie pies has its origins with the Amish, and in Lancaster county, Pennsylvania, it is not uncommon to find roadside farm stands offering these desserts. Amish cooking is about old recipes that have fed families for generations, with no trendy or cross-cultural fusions or mixtures. These cake-like whoopie pies were considered a special treat because they were originally made from leftover batter. According to Amish legend, when children would find these treats in their lunch bags, they would shout "Whoopie!" Preheat oven to 350 degrees F. Lightly grease baking sheets. In a large bowl, cream together shortening, sugar, and egg. In another bowl, combine cocoa, flour, baking powder, baking soda, and salt. In a small bowl, stir the vanilla extract into the milk. Add the dry ingredients to the shortening mixture, alternating with the milk mixture; beating until smooth. Drop batter by the 1/4 cup (to make 18 cakes) onto prepared baking sheets. With the back of a spoon spread batter into 4-inch circles, leaving approximately 2 inches between each cake. Bake 15 minutes or until they are firm to the touch. Remove from oven and let cool completely on a wire rack. 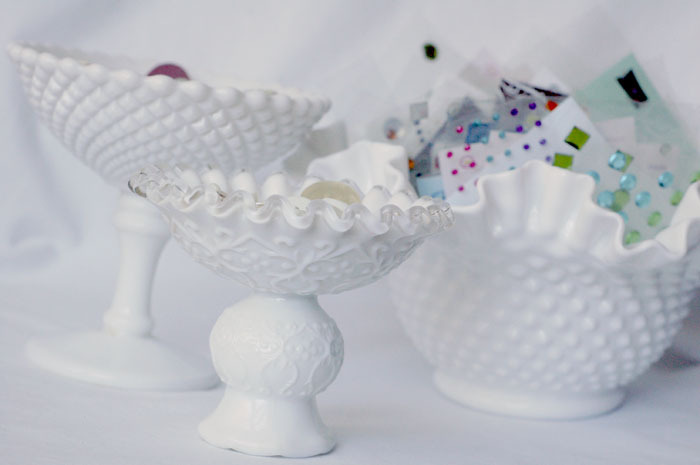 Make Whoopie Pie Filling. When the cakes are completely cool, spread the flat side (bottom) of one chocolate cake with a generous amount of filling. Top with another cake, pressing down gently to distribute the filling evenly. Repeat with all cookies to make 9 pies. Let finished whoopie pies completely cool before wrapping. Wrap whoopie pies individually in plastic wrap, or place them in a single layer on a platter (do not stack them, as they tend to stick). To freeze, wrap each whoopie pie in plastic wrap. Loosely pack them in a plastic freezer container and cover. To serve, defrost the wrapped whoopie pies in the refrigerator. Makes 9 large whoopie pies. For this recipe, you are basically making a homemade Marshmallow Fluff/Creme. In large bowl of an electric mixer, add egg whites, corn syrup, and salt. Using your electric mixer on high speed, mix for approximately 5 minutes or until the mixture is thick and volume has almost doubled. On low speed, add powdered sugar and mix until well blended. Add vanilla extract just until well blended. Your homemade marshmallow fluff/cream is now ready to use on your Whoopie Pies or other recipes. Use immediately, or refrigerate in a covered container for up to 2 weeks. Well, that's it for today. Thanks so much for stopping by!